Everyone has hopes of one day living in their dream home, and you likely have some clear visions of exactly what that perfect home would look like. If you are lucky, your current property comes fairly close to that ideal, but for most of us, we are still a long way from achieving our fantasy space. No matter how near or far you may currently be from achieving your goal of creating the perfect place, we can help you make that dream a reality (or at least get you much closer). If a total home makeover is possible for you right now, that would lead to a finished product that would have a dramatic change on your life. This would be in essence like having a completely new home. This would be a major project, though, one that would require a considerable investment of time and money. Before you totally rule that out, though, please allow us to discuss your plans with you. Often, it turns out that homeowners aren’t quite as far away from achieving their dream space as they may think. You might be surprised at the difference a few relatively small changes or improvements can make. 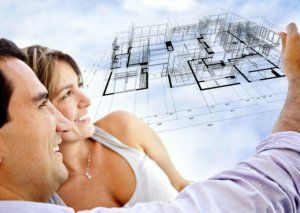 Of course, there are some practical limitations related to budget and space constraints that may prevent you from doing a full-scale total home renovation, but it is often possible to at least create a modified or scaled-down version of your ideal vision. If various practical circumstances prevent you from redoing your entire house, focusing on just one room or specific area can help you create an in-home retreat that serves as a dream space. Repurposing or reconfiguring existing rooms. Often, it isn’t so much the space itself that doesn’t work for you, it’s how it is currently laid out or set up. Rooms that aren’t used to their full potential (or perhaps not used at all) can be given new life after a renovation. This can run the gamut from relatively minor tweaks and upgrades to perhaps even moving walls or combining two or more smaller rooms into one large open space. You may have trouble envisioning how this current space would look or feel after being completely redone, but that’s where drawings and computer-based visuals can help. Kitchen remodel. It’s no secret that the kitchen is often the heart of the home, so redoing this space can make a significant impact on how the entire home feels. From a practical standpoint, it can also greatly improve the function and efficiency of the home, which can eliminate many of the stresses and frustrations you may have about trying to go about a typical daily routine in your current space. Bathroom remodel. As with a kitchen makeover, redoing a bathroom can have a major impact on how you feel about your home, and how it functions for your family. This can also allow you to create your own personal retreat or spa that can serve as a badly needed way to escape from the daily routine and recover from the stress of your day. Home addition. This is a great way to create a totally new and unique space within the boundaries of your existing property. Depending on your design approach, you may be able to create a sort of new mini-home attached to your existing house, which can be like having the best of both worlds: a place to escape into your dream world without leaving the home you already love. If you were considering leaving your current home due to lack of space, this can help you avoid that scenario. This is also a great solution if you want elderly parents or other family members to join your household. Outdoor living space. Again, this is another way to expand your existing home to create a totally new and separate space. Creating an outdoor living area adds a fresh new element, providing you with a way to relax and entertain while enjoying the great outdoors. Don’t be surprised if you find yourself spending so much time enjoying your new outdoor area that you seem to spend very little time indoors anymore. You may also notice that your friends and family arrive to hang out a lot more often. If your outdoor living space includes a kitchen or cooking area, you may also realize that you no longer feel the need to do the indoor kitchen renovation that you were contemplating. Republic West Remodeling has an extensive background in dream home remodeling, and we can help make your perfect home visions a reality.